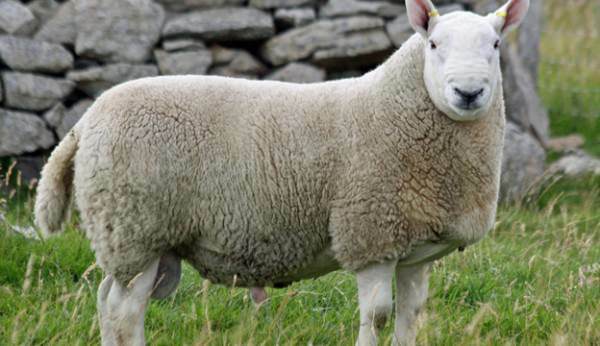 Here is a great opportunity to grow or start your own flock of Corriedale Ewes! 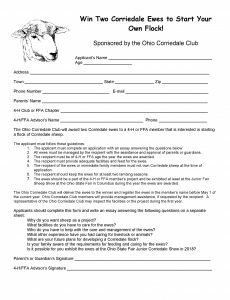 The Ohio Corriedale Club will award two Corriedale ewes to a 4-H or FFA member that is interested in starting a flock of Corriedale sheep. 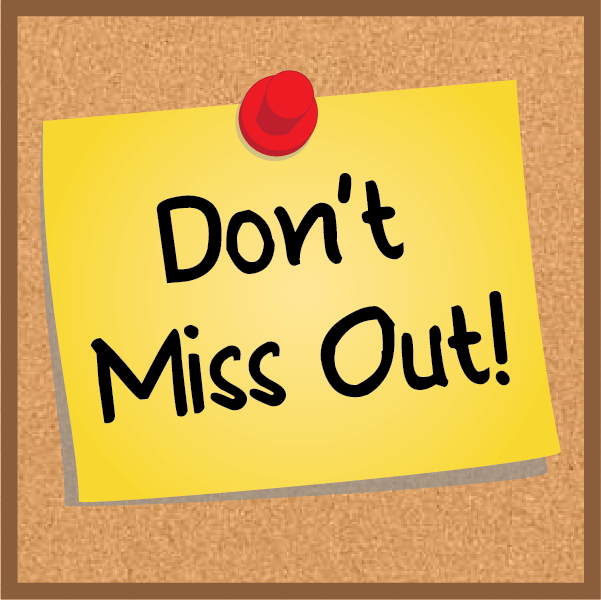 Applications must be returned by March 25th, to: Jodie Duffy, Ohio Corriedale Club, 4279 Eaton Road, Hamilton, Ohio 45013. Contact 513/518-4701 or duffyjy@msn.com with questions. The Ohio Cheviot Breeders Association (OCBA) is seeking applicants for the Jim Cluff Memorial Starter Flock Award. The OCBA started the contest in 1994 to award a Cheviot starter flock to an Ohio youth up to 17 years of age. The purpose of the award is to introduce the youth to the enjoyment of raising and owning a purebred Cheviot sheep, as well as encouraging the growth of new Cheviot breeders in Ohio. The contest winner will receive the following: a one-year membership in the OCBA, one bred ewe the first year, one ram the second year and in the third year the youth will donate a lamb to continue the award. The Ohio Corriedale Club will award two Corriedale ewes to a 4-H or FFA member interested in starting a flock of Corriedale Sheep. 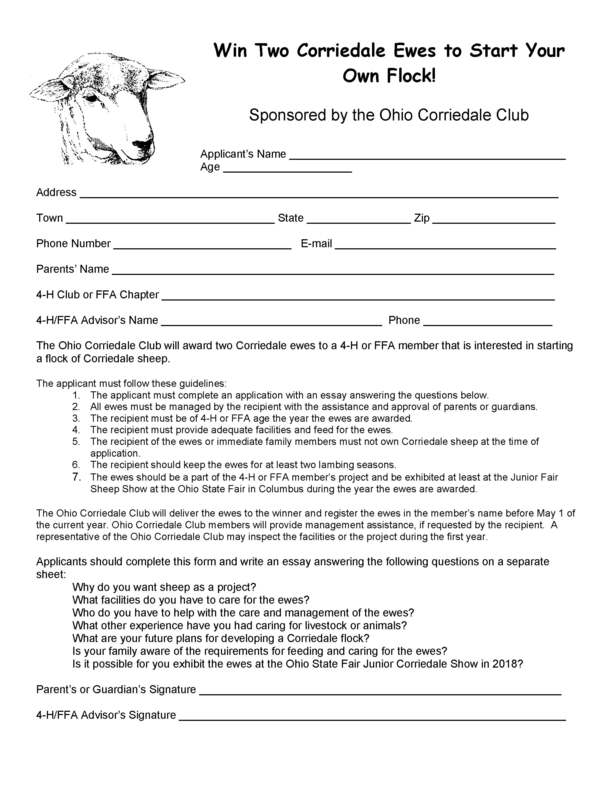 The application is attached and due by March 25 to Jodie Duffy, Ohio Corriedale Club. Please contact Jodie at 513.518.4701 or duffyjy@msn.com. 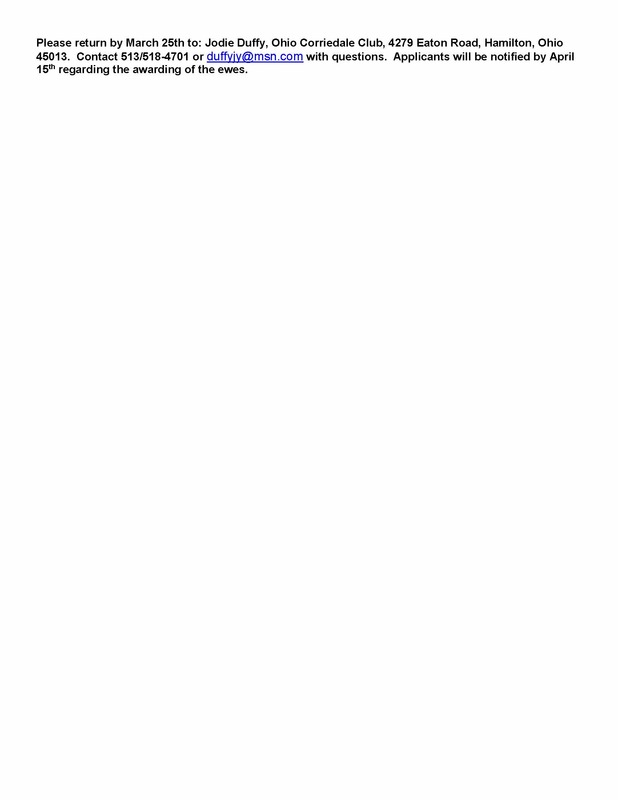 *An essay which introduces you and your experience with animals. Your essay should explain your interest in sheep and answer the question: “Why I would like to help preserve a heritage breed of sheep.” If for any reason the animal will not be kept at your own home, please explain in detail where it will reside and what exactly your responsibilities will be. 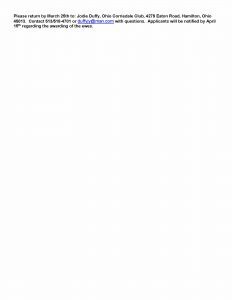 *The applicant should indicate if they wish to be considered for a particular breed or for any of the breeds available. *Each applicant must include a letter of recommendation from their 4‐H advisor, FFA advisor, veterinarian, teacher or clergy. *The total application/essay should be no more than 2 pages in length. ALL ESSAYS MUST BE MAILED. EMAILED ESSAYS WILL NOT BE ACCEPTED! *Must be present to receive the ewe at the Maryland Sheep & Wool Festival on Sunday, May 6, 2018. *Must exhibit the ewe at least twice in 2018 at: 1) a county fair or local sheep show and 2) the State Fair in the state where the recipient lives. *Must breed the ewe to a registered ram (of her breed) in the fall of 2018, should consult the donor breeder for their recommendations. *Must either use the ewe’s fleece to personally make a wool item or sell the fleece to a spinner, felter or weaver. 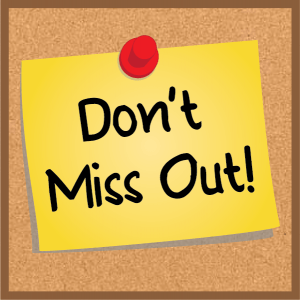 *Must submit an article, the following Feb/Mar to their local newspaper covering their year and including information concerning the next year’s YCP program. *Must submit a scrapbook to the Donor Breeder by April 30, 2018 and provide a scrapbook to be used at the Maryland Festival which is then given back to the youth. Any questions please contact Elaine Ashcraft 46118 CR 58 Coshocton, Ohio 43812, By phone at (740) 622‐1573 or by email at tankewe_cr58@yahoo.com (please note the underscore between “tankewe” and “cr58”) Donors select the recipients from the essays submitted by the youth.